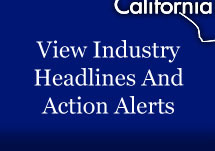 California has released its list of infrastructure priorities for a potential federal funding package. The list consists mainly of major projects costing $100 million or more including new carpool and toll lanes, an earthquake early warning system, and high speed rail and the Delta tunnels. Although the Governor did include expansion of San Luis Reservoir in the Central Valley, two water projects are notably absent; Sites Reservoir and Temperance Flat Dam, which the Governor says are not to a point where they are ready for such funding. Click here to read the Governor’s letter and see the full list. In a related story, rumor is that there is a Democratic agreement between the Governor and legislators to meet an early April deadline for a state transportation funding package, which has been difficult to nail down for over two years now.